The price of greeting cards, for those who still send them, can cost as much as a joyfully fun gift that is utilizable as well as spreads joy beyond the initial gift. 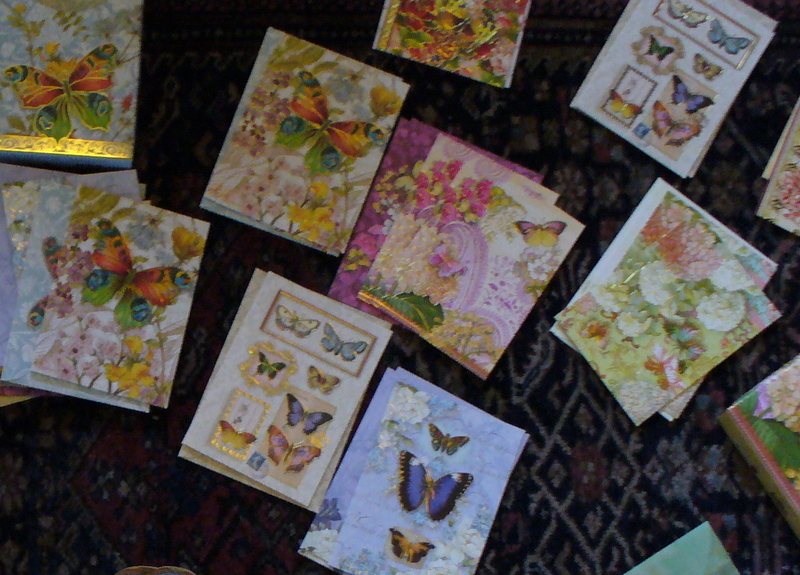 Joyful Hermit pounced on the idea when noticing some beautiful packages of notecards at TJMaxx. The notecards came in 10 of same design, costing $3.99 each. All are colorful, beautiful, uplifting images of flowers, birds and butterflies in packaging that itself is lovely with a convenient, bejeweled-clasped closing flap. There were many styles from which to choose. Joyful immediately realized what lovely gifts, but often people do not need many of the same design. Why not purchase ten different notecard boxes for a total investment of approximately $40, go home, and create ten $3.99 gift sets of a variety of notecards? Joyful did just that, having fun creating specialty gift boxes, and keeping one for personal use. 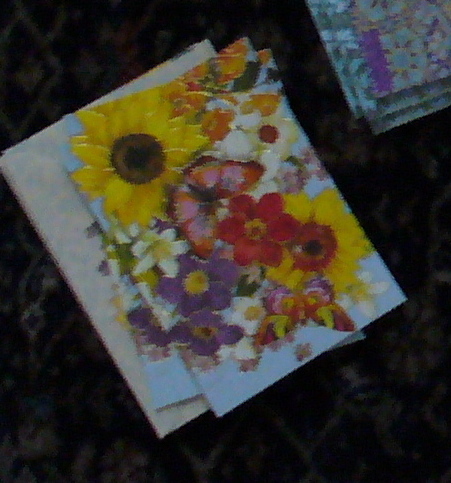 The price of giving an entire box of varied, uplifting notecards that the recipient can then use to spread the joy of friendship, and not risk repeating the same card to the same person, cost the price of a single greeting card of similar quality. JH gift wraps a pack of notecards, then uses a brown paper sack as mailing means. Why purchase bubble mailers? For $1.90 this gift can be mailed USPS, anywhere in the country. (Joyful Hermit visits the Post Office when on other errands.) 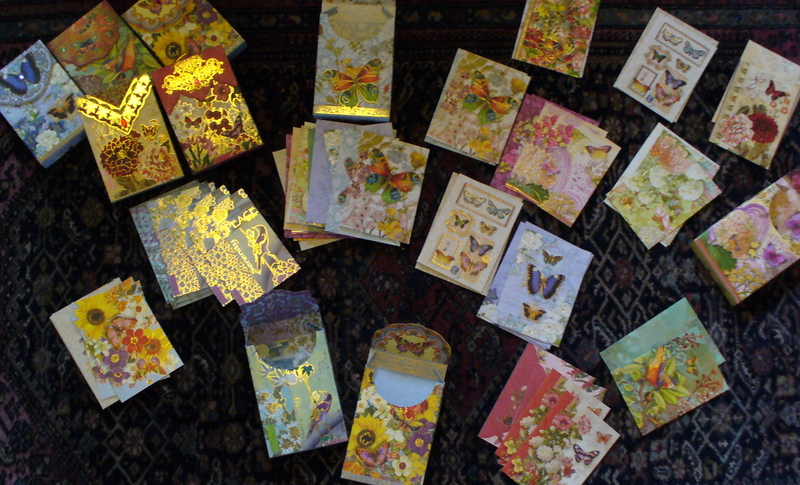 How fun is this: to surprise friends and family with a bevy of cards they can use to send yet more greetings? It’s downright joyful, including the surprise when recipients discover the variety of styles and colors!